My lovely university friend is visiting for a few days so I am having a wee little break to have fun with her. It is fabulous to see her again, you know what it is like when university ends people move hundreds of miles apart and two years pass between getting together. Thank goodness for facebook! We've been adventuring around and spent much of yesterday on Holy Island where this cheeky little chap came to see what we'd left from our cream tea! Fun times, however I do have bad news. 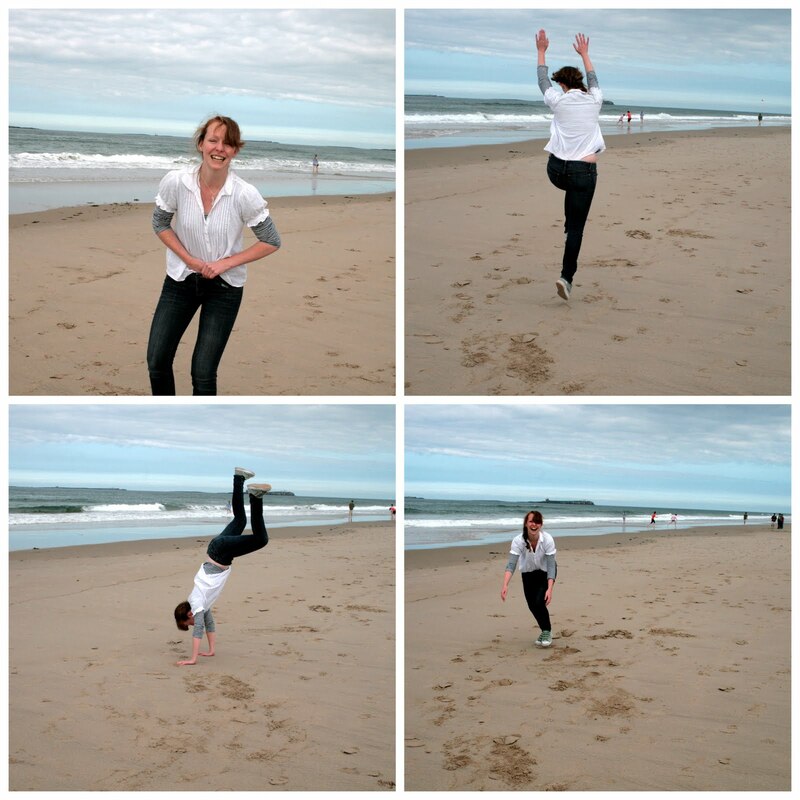 Unfortunately it appears that having turned 29 I am no longer able to do a satisfactory cartwheel. The shame. Bamburgh beach is just massively beautiful and again I must say it; I love living here!